Curated by Vikki Tobak—produced in partnership with United Photo Industries (UPI)—and based on her book of the same name, the photographic exhibition includes over 120 works from more than 60 photographers. 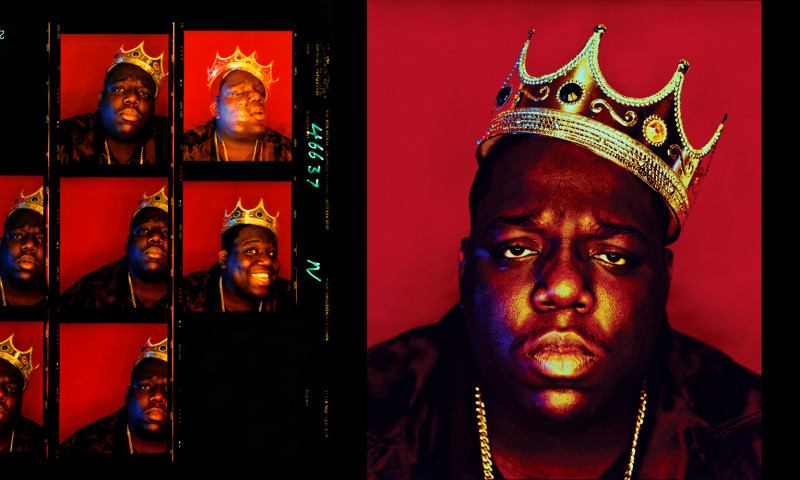 Presenting guests with original and unedited contact sheets—from Barron Claiborne’s iconic Notorious B.I.G. portraits, to early images of Jay-Z, Kendrick Lamar, and Kanye West as they first took to the scene, to Janette Beckman’s defining photos of Salt-N-Pepa, and Jamel Shabazz and Gordon Parks documenting hip-hop culture—CONTACT HIGH allows visitors to look directly through the photographer’s lens and observe all of the pictures taken during these legendary photo shoots. The exhibit also includes rare videos, memorabilia, and music to demonstrate how the documentation of a cultural phenomenon impacts not just music, but politics and social movements around the world.